I finished up the raffle quilt just in time to go to the wool bee on Sunday. I am really happy with how it turned out! Robin got the binding on in time for the guild meeting, where I hear it got lots of WOWS! I think we’re going to sell a lot of tickets on this one! I spent all day yesterday chaperoning dd’s school trip to St. Mary’s City. We lucked out with the weather, but it was still a long day with about 5 hrs total travel time. 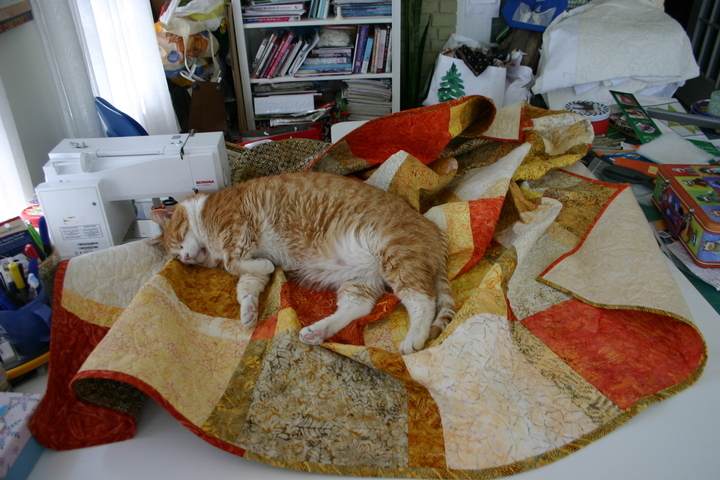 I am starting on the Annapolis Quilt Guild’s raffle quilt for next year. Its a wool quilt, the pattern is Greenbriar by Sue Spargo. It’s a beaut – I know this one will sell lots of tickets!